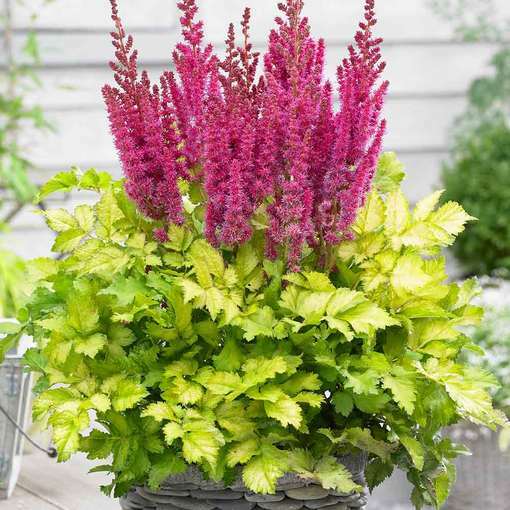 A recent breeding development has created this sensational prolific flowering Astilbe with deep purple-pink flowers that contrast spectacularly with the bright yellow/lime foliage. 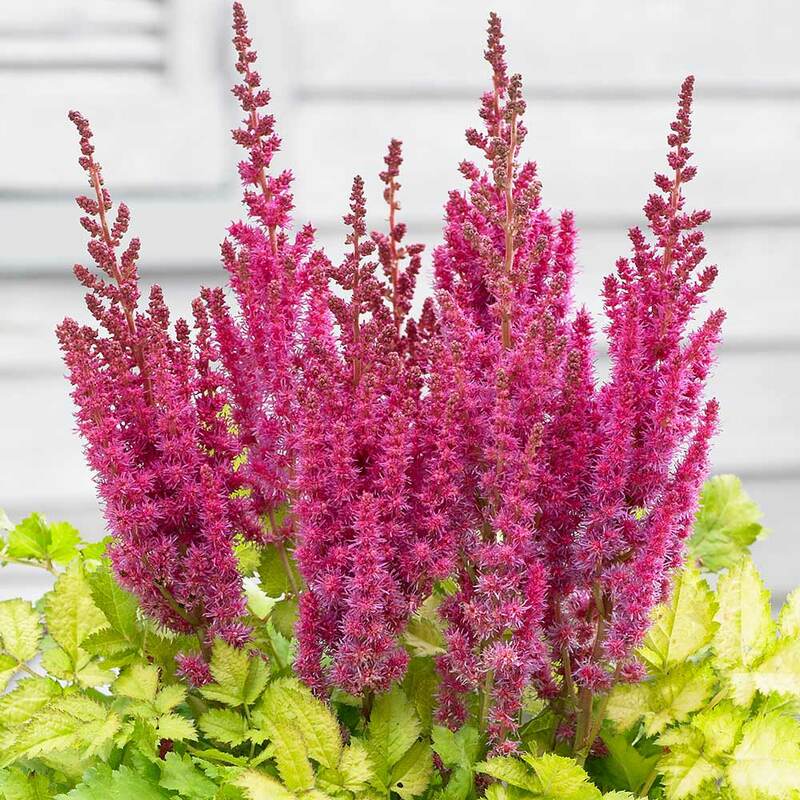 Astilbe's, otherwise known as False Goat's Beard, are very popular with gardeners as they are quick growing whilst maintaining a compact habit. 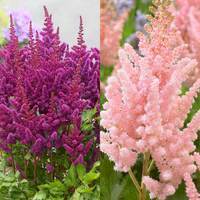 Add to this the fact that they are free flowering, very hardy and pest resistant and it's easy to see why so many people love them. 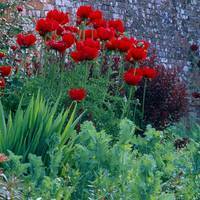 Snails don't like them, but their delicious fragrance will attract plenty of bees and other pollinators. Native to mountain ravines and woodlands in Asia and North America they are very tolerant of shade and thrive in damp locations, so are ideal for placing near a pond but equally are impressive and well suited to being grown in containers or as part of a border display. Height 50cm. First grade loose roots supplied. 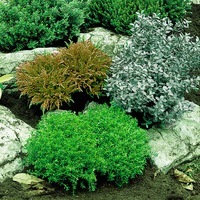 Planting Plant in prepared soil, with a hole large enough to firmly hold the roots, and with room to expand. 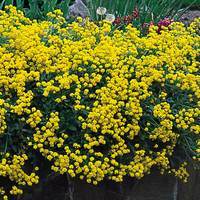 Plant in prepared soil, with a hole large enough to firmly hold the roots, and with room to expand.